You may notice something ‘different’ about that Presidents’ photo they took at Barbara Bush’s funeral. In the midst of everything else that was happening, there was just a momentary glimmer of the sanity our crazy times have long needed a tangible reminder of. It was also a reassuring moment of unity our divided nation needed. It didn’t take long for even THAT to become divisive… thank you Texas Democrats. Can you spot the edit? Democratic Party members in Lubbock, Texas, have apologized for posting the photo of four previous U.S. presidents and their wives together at Barbara Bush’s funeral with Melania Trump cropped out. The original photograph, featuring Laura Bush, George W. Bush, Bill Clinton, Hillary Clinton, Barack Obama, Michelle Obama, George Bush Sr. and the current First Lady, went viral after it was taken at the funeral of Barbra Bush in Houston, Texas, on April 21. The Lubbock County Democratic Party Headquarters also uploaded a version of the photo, but the image they used was edited so that Melania Trump was not in it. After the photo was posted onto Facebook on Sunday (April 23), users condemned the group for what they described as a “childish crop job” reports the New York Post. They’re calling it an ‘honest mistake’. You could give them the benefit of the doubt. After all, they’d offer the same gracious response to a Republican doing the same thing… right? In these divided times, there’s one thing that increasingly unites men and women. 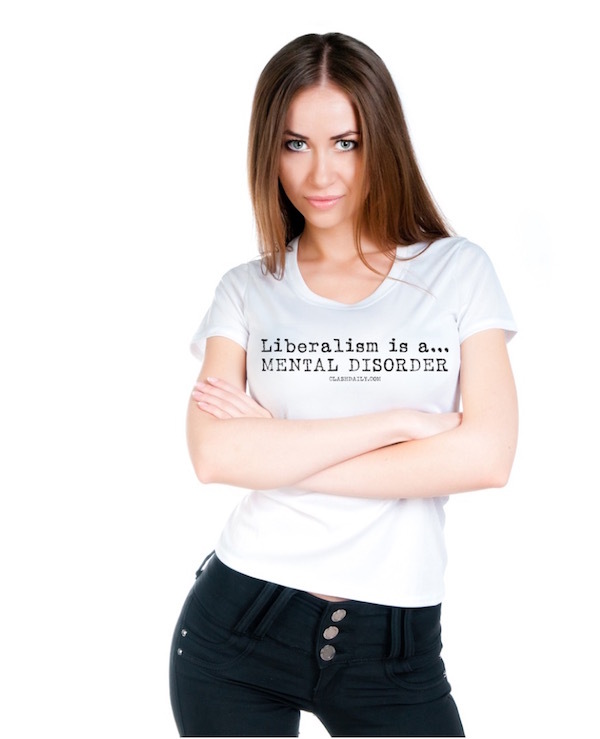 We can both agree that Liberals are losing their ever-loving minds. 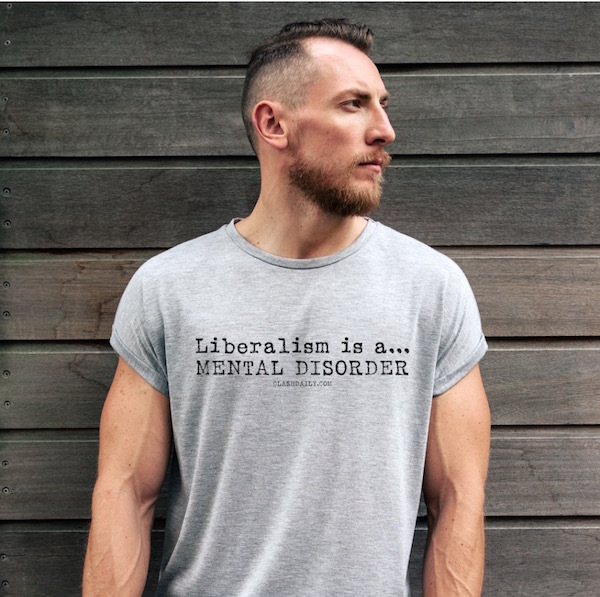 Now there’s a shirt that says just that.